Some medicines can cause unwanted or dangerous effects when used with atazanavir. Your doctor may need to change your treatment plan if you use any of the following drugs: alfuzosin, cisapride, indinavir, irinotecan, lovastatin, simvastatin, pimozide, rifampin, sildenafil (for treating pulmonary arterial hypertension), St. John's wort, triazolam, oral midazolam, or ergot medicine (dihydroergotamine, ergotamine, ergonovine, methylergonovine). Atazanavir is an antiviral medication that prevents human immunodeficiency virus (HIV) cells from multiplying in your body. 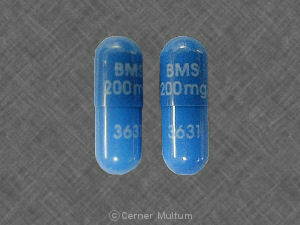 Atazanavir is used with other medications to treat HIV, which causes the acquired immunodeficiency syndrome (AIDS). Atazanavir is not a cure for HIV or AIDS. Atazanavir is not expected to be harmful to an unborn baby, but HIV can be passed to your baby if you are not properly treated during pregnancy. Take all of your HIV medicines as directed to control your infection. Atazanavir must be given together with ritonavir during pregnancy and for a short time after childbirth. Follow your doctor's dosing instructions very carefully. Atazanavir can make birth control pills, patches, injections, or vaginal rings less effective. Ask your doctor about using a non-hormone method of birth control (such as a condom, diaphragm, spermicide) to prevent pregnancy while taking atazanavir. 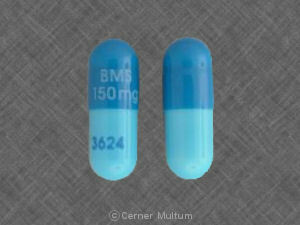 Do not give this medication to a child younger than 6 years old. Do not give atazanavir alone (without ritonavir) to a child younger than 13 years old, or to a child who weighs less than 88 pounds. Follow all directions on your prescription label. 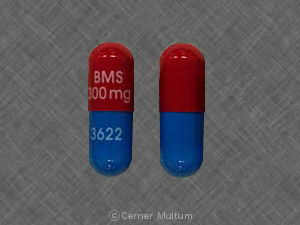 Do not take this medicine in larger or smaller amounts or for longer than recommended. Atazanavir is often used together with another medicine called ritonavir (Norvir). While using atazanavir, you may need frequent blood tests at your doctor's office. Your liver function may also need to be checked. Use atazanavir regularly to get the most benefit. Get your prescription refilled before you run out of medicine completely. If you also take didanosine (Videx), take it 1 hour before or 2 hours after you take atazanavir. Avoid using antacids or buffered aspirin within 1 hour before or 2 hours after you take atazanavir. stomach acid reducers --cimetidine, dexlansoprazole, esomeprazole, famotidine, lansoprazole, nizatidine, omeprazole, pantoprazole, ranitidine, and others. This list is not complete and many other drugs can interact with atazanavir. This includes prescription and over-the-counter medicines, vitamins, and herbal products. Give a list of all your medicines to any healthcare provider who treats you. Copyright 1996-2017 Cerner Multum, Inc. Version: 9.03. Revision date: 4/28/2015.